Developing the skills to work effectively with people who have mental health problems is fundamental to contemporary social work practice. Practitioners face new challenges in a rapidly changing work environment including working with consumers and their families and in multidisciplinary teams. Now, more than ever, social workers need discipline-specific mental health knowledge and training. 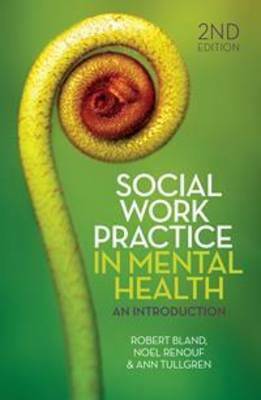 This second edition of Social Work Practice in Mental Health continues the guiding principles of the first edition - an emphasis on the centrality of the lived experience of mental illness and the importance of embracing both scientific and relational dimensions of practice. The new edition reflects the latest developments in best practice including the emergence of recovery theory and the importance of evidence-based approaches. This is a comprehensive guide to social work practice in specialist mental health settings as well as in other fields of practice, covering the most commonly encountered mental health problems. It features information on assessment, case management, family work and community work, and reveals how the core concerns of social work - human rights, self-determination and relationships with family and the wider community - are also central to mental health practice.